Small leaks in swimming pools can prove very costly – lost water needs replacing, pools need reheating and chemical controls restored. Customers with private pools or swimming complexes are often on metered supplies and so have to pay for any water lost. 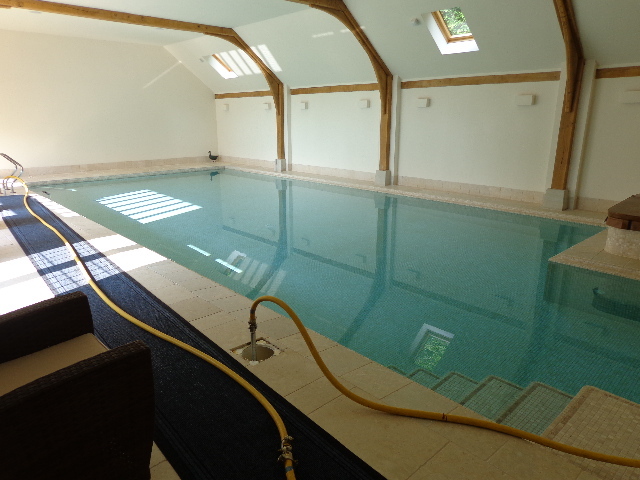 Certikin, suppliers to the swimming pool trade, called in PRS to help solve a difficult leakage problem with a private indoor pool in a property in the village of Oxshott in Surrey. ePIPE technology from PRS can help solve difficult leakage problems for customers on private pool complexes who have leaks in existing flexible lines. A comprehensive upfront survey, using pressure testing of pipelines and camera units, helps PRS identify leakage issues. Lining of pipework, typically of 2 to 2.5 inch diameter plastic pipes, can prove to be an appropriate solution. Having identified the problem at the pool in Oxshott, the PRS team coated multiple lines due to leaks in existing flexible lines with average lengths of runs up to 15 metres. 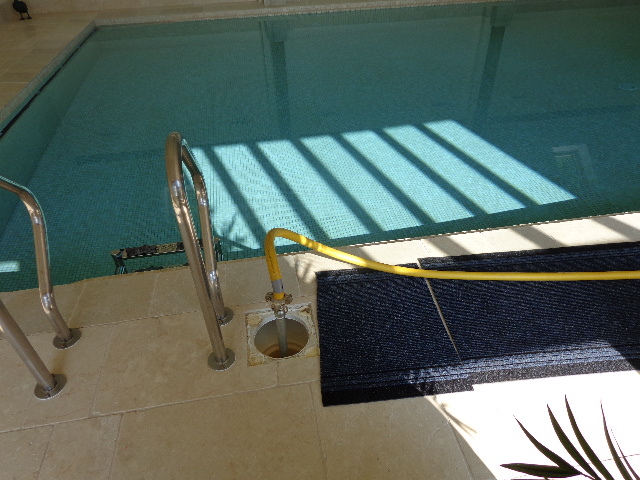 Bespoke adapters were used to eliminate the risk of potential damage to the integrity of the pool surround. Access was a challenge as the plant room was situated below ground and could only be reached via a spiral staircase. The job was completed with no damage to the pool surround and minimal disruption. Neil Stephenson added: “PRS has generated a huge amount of interest within the swimming pool industry as they not only identify the problem through their surveying methods, but also solve the problem with minimal site disruption and down time.